The sweet, water loving Newfoundland is featured on this Christmas Card. 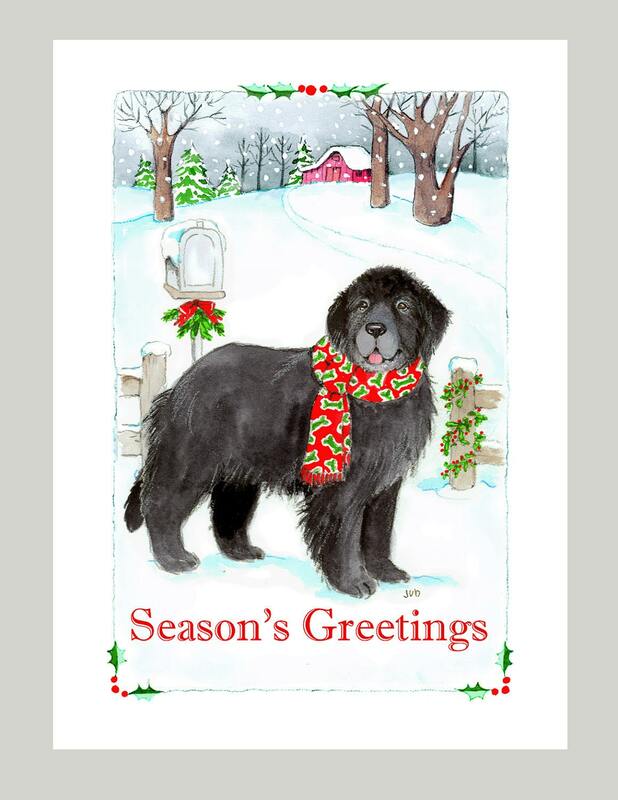 Share your Holiday Greetings to family & friends with your favorite canine companion. Inside: Wishing You Joy and Delight for the Holiday Season! Box of 16 cards 5" x 7" Printed on Recycled paper with 16 white envelopes, Printed in the U.S.A.
Cards are nice! Shipped on time! I would purchase from her again! The cards are so pretty, I just love them! Can't wait to send them to family and friends. Cards are beautiful & shipping was super fast.